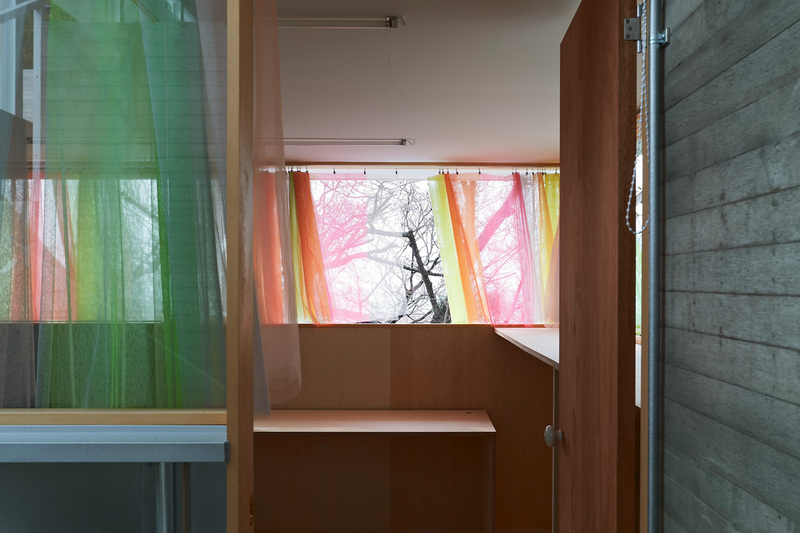 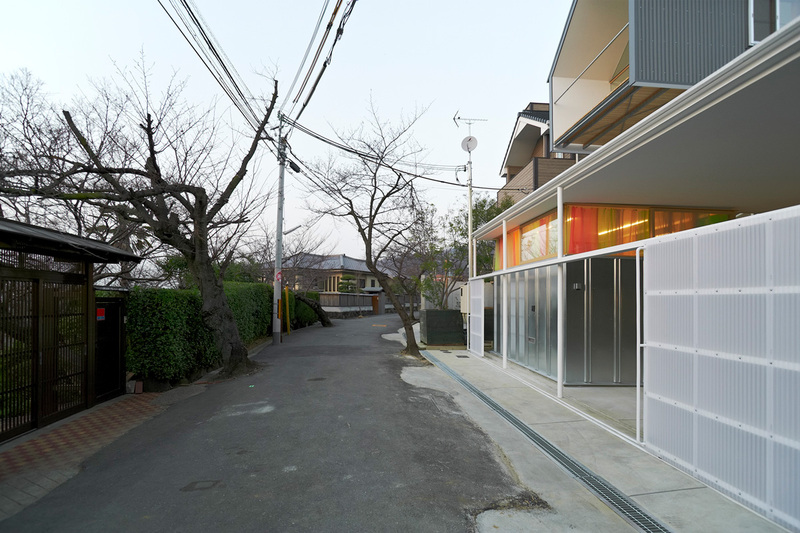 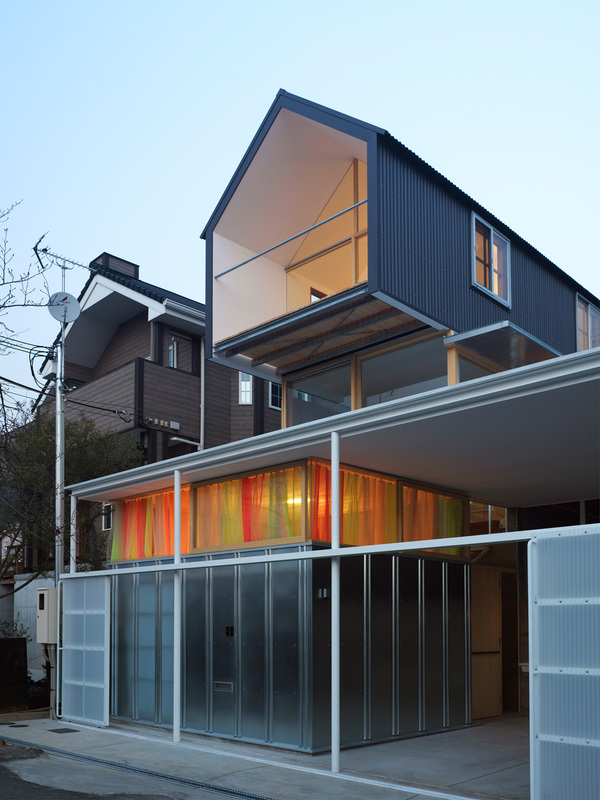 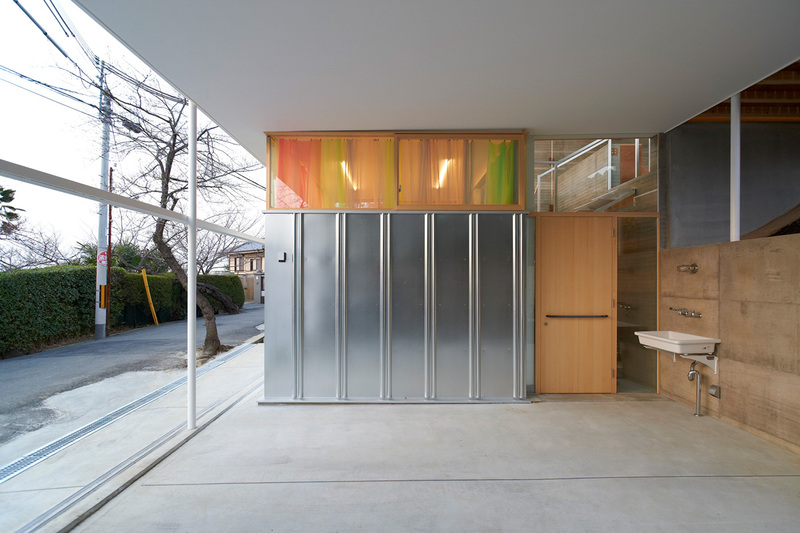 Studio Akane Moriyama created curtains for a children’s room in a private house by Tato Architects/Yo Shimada in Ishikiri, Osaka, Japan. 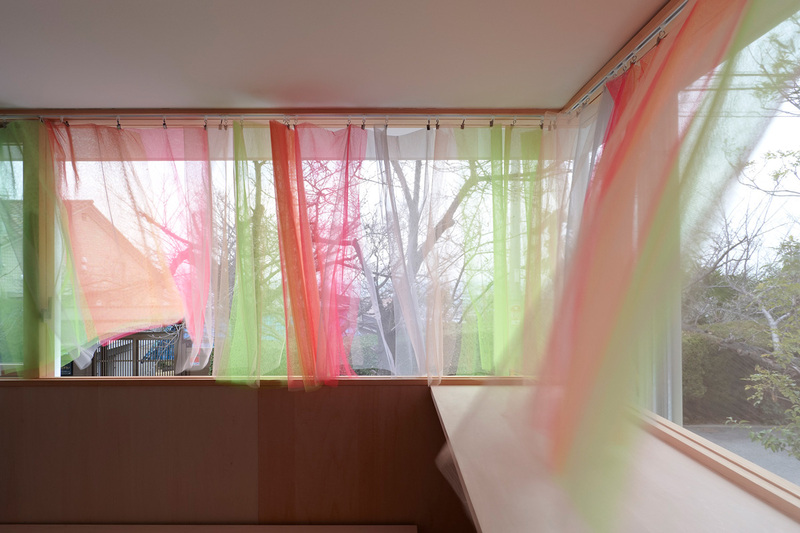 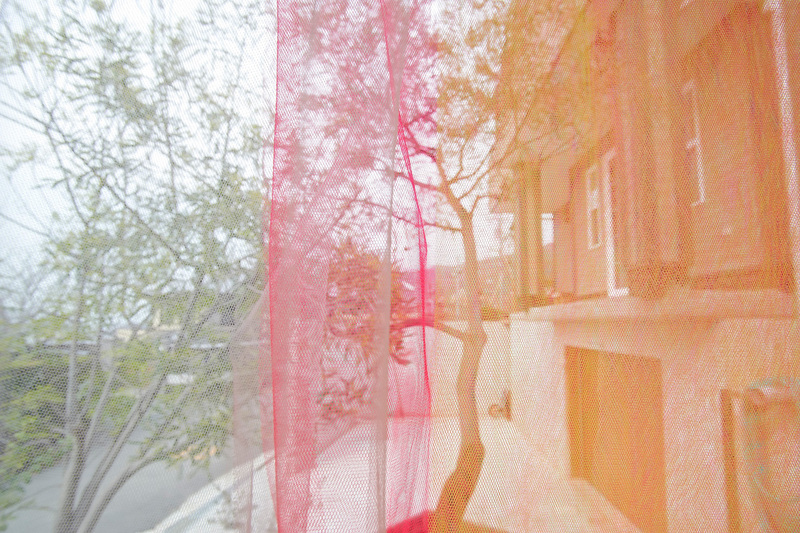 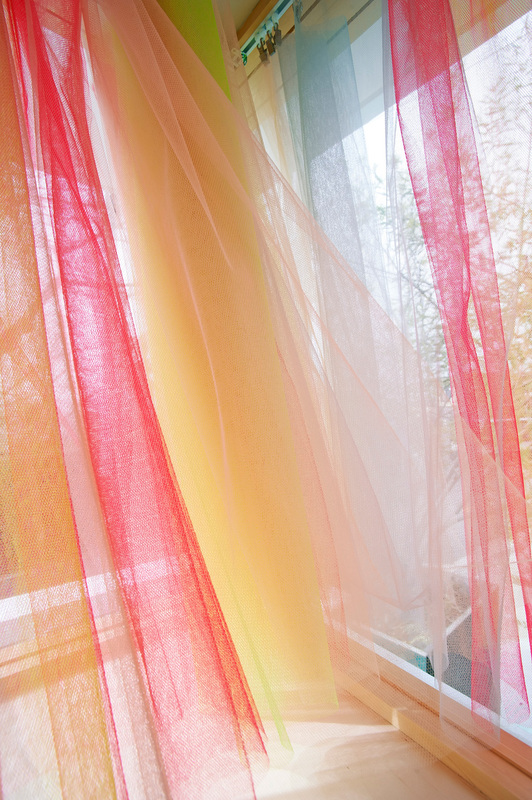 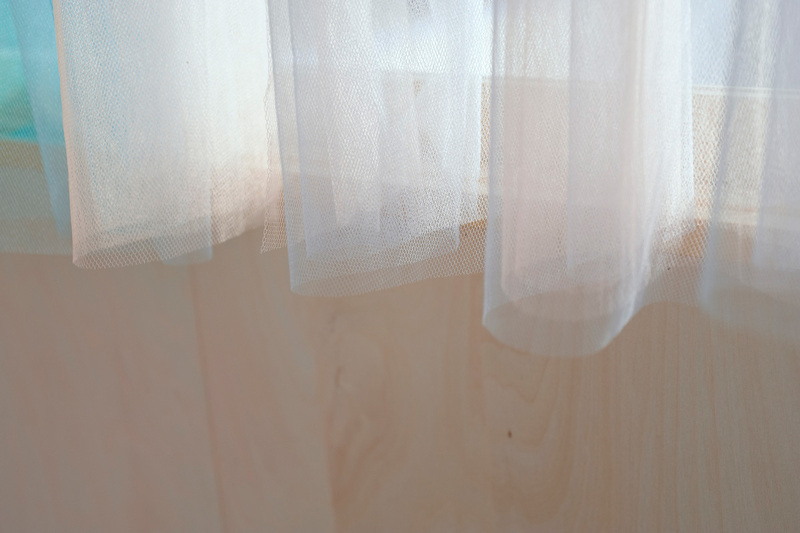 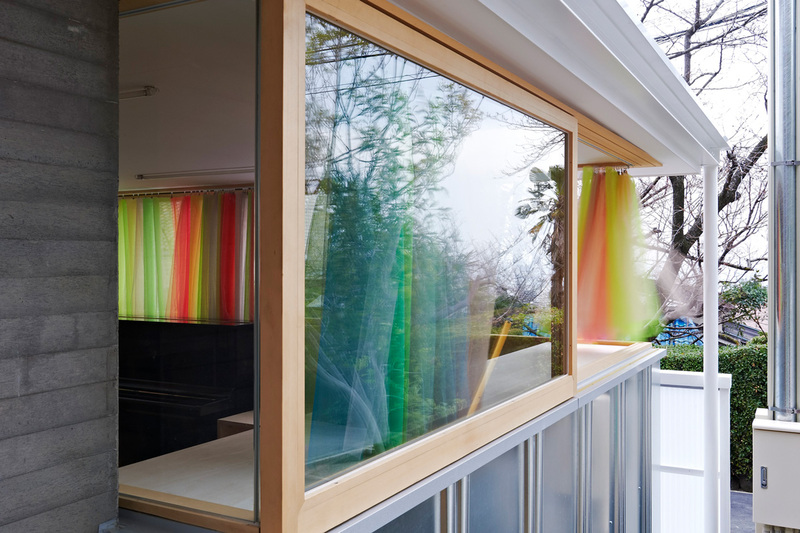 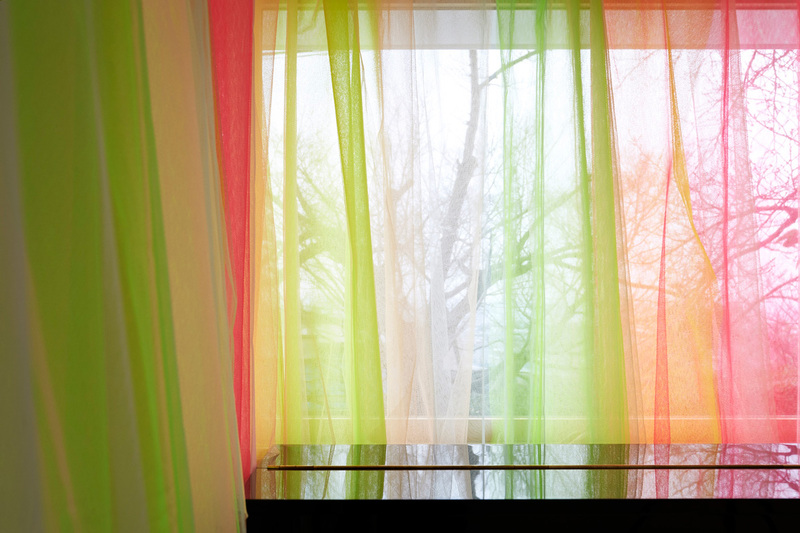 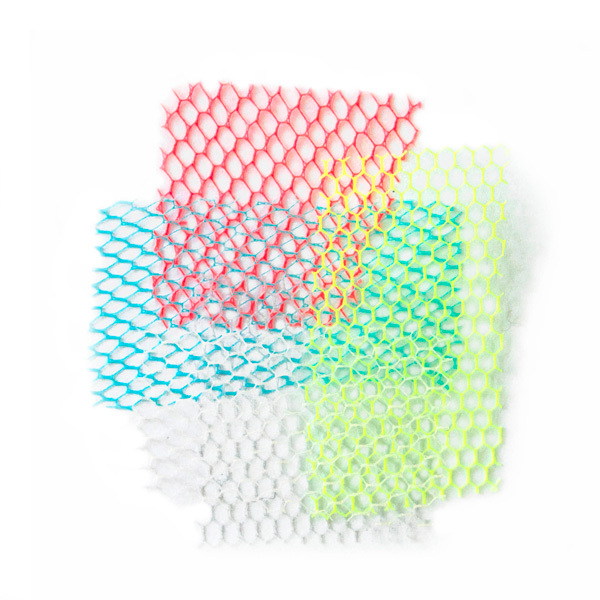 Five different colours of semi-transparent fabric are hung all around the window side, creating overlapping colours in the space. 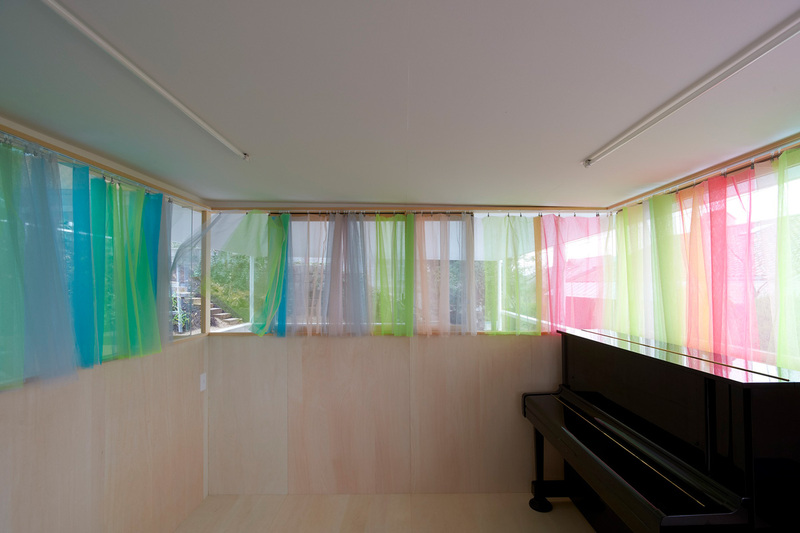 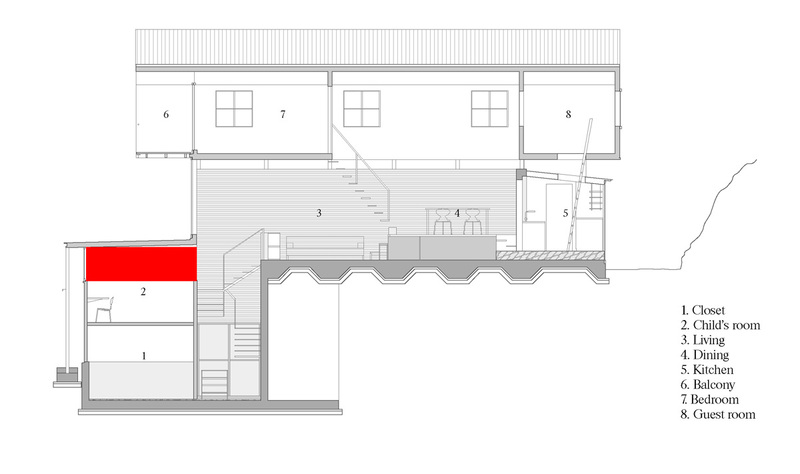 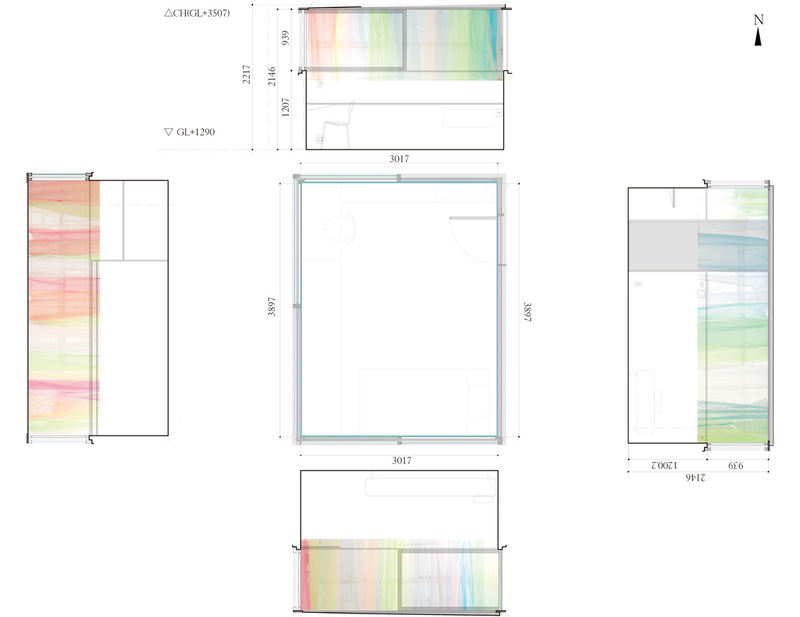 The curtains are installed with clips and thus the combination of curtains and colours can be changed to vary the playful expression of the space continuously.